Today I'm feeling sorry for myself. I went out last night with a couple of amigos and indulged in one too many daquiris and today I'm paying the price. This morning I was one step away from phoning my Mum to say my goodbyes as I was sure it was going to be the end of me but, a couple of chicken strips and a bru later, I'm finally starting to feel a bit more alive. 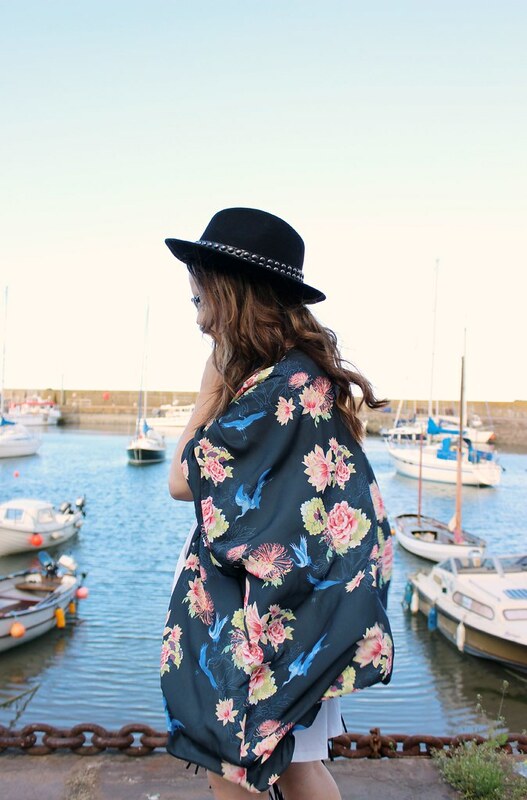 It was pretty sunny today (nothing compared to what it's like down in England though, you lucky little shits) so I took my new kimono out for a spin. I've always been a fan of Love, but I think this has to be my favourite piece of theirs yet. 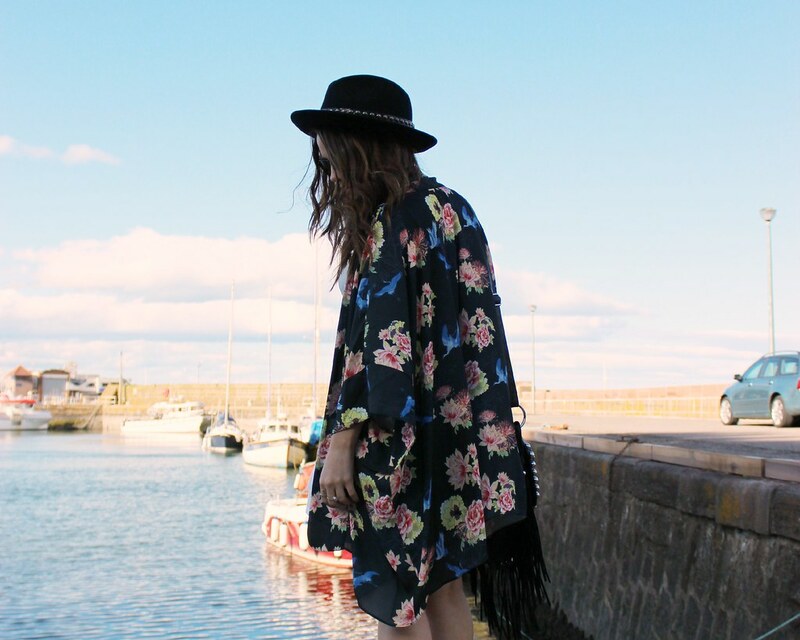 Long live the kimono. Such a pretty kimono, you look great! This is such a pretty kimono. Your bag means serious business too. In the best possible way of course. I've got to say, you don't look rough at all. oh my god i need this kimono right now. you are the biggest enabler! 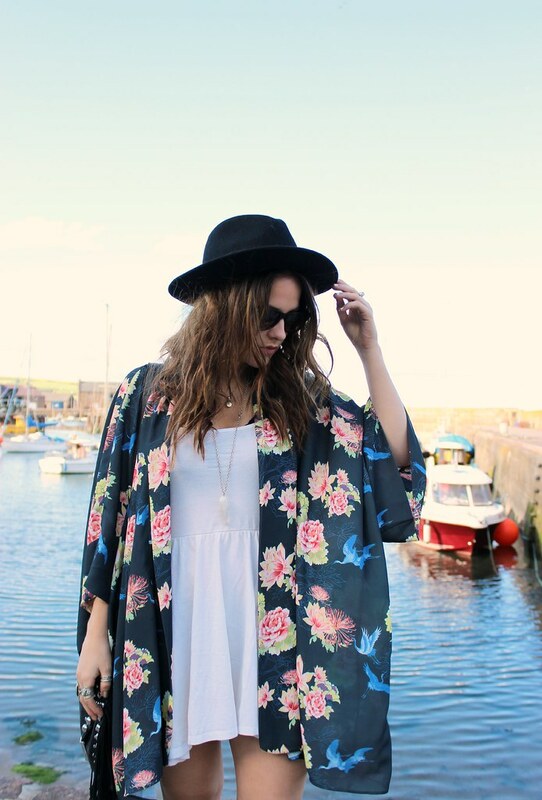 been lusting for a kimono for a while, i love this on you! 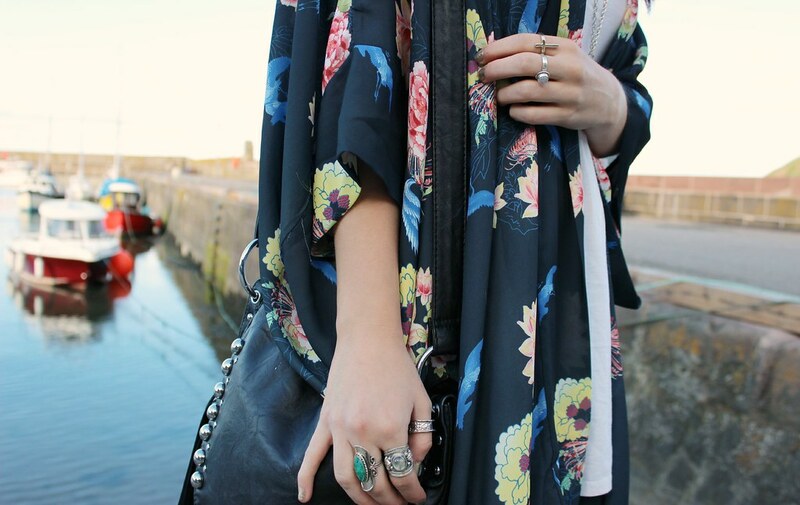 Such a pretty kimono, really cute outfit. Its gorgeous. Really flattering. You look amazing. Well done for actually doing a blog hungover. you look lovely - love the white dress against your kimono! gorgeous! I've never really wanted a Kimono...but now I've seen this I do! Oh lordy. I want to raid your wardrobe. This kimono is SO pretty! Love, love this look. That kimono is beautiful!! 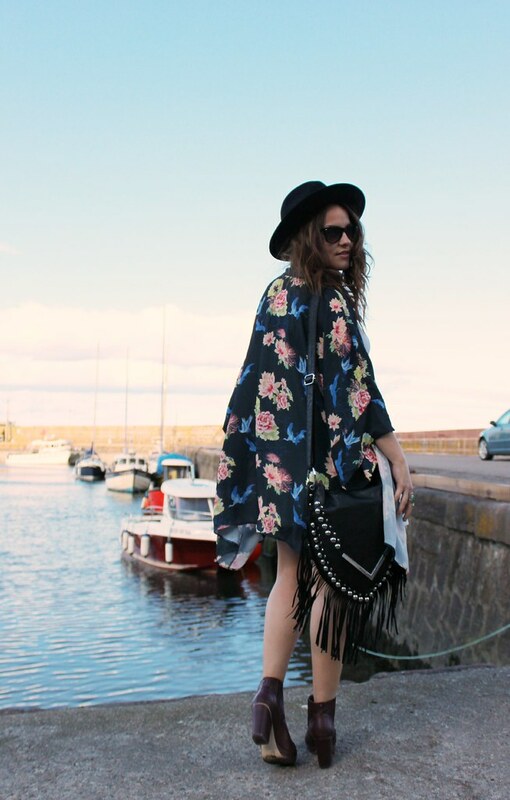 LOVE, LOVE, LOVE, LOVE, LOVE this kimono! So beautiful!